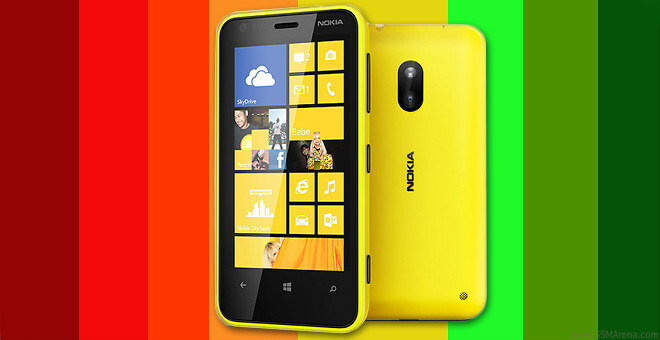 We approached the Nokia Lumia 620 battery test with mixed feelings. Windows Phones had hardly topped our charts so far and the meager 1300mAh battery of the Lumia 620 didn’t bode well. Still, we had certain hopes for it as its screen is not that big and the dual-core CPU is clocked only at 1Ghz. Battery tests are time-consuming affairs and we’ve had several of those piling up. The Lumia 620 review has been published for a while now, but it’s only now that we are able to publish its detailed battery performance test. Jump after the break to get the full account. Smartphones are pushing the envelope these days and have been sticking their beaks in other devices territories for some time now. But making calls is still their staple and it is very important to a lot of people – there’s no point in having the best smartphone if it can’t handle a reasonable amount of calls load. 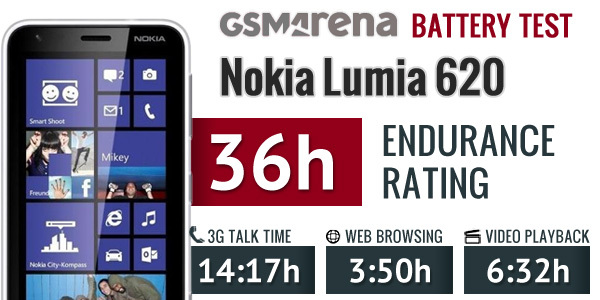 The Lumia 620 got a very promising result where it counts – it scored 14 hours and 17 minutes worth of 3G talk time. That puts it well above the average poll. Next up comes web browsing and the Lumia 620 got a catastrophically low score in this discipline. It only managed 3 hours and 50 minutes, snatching the fifth lowest spot in the table. The Lumia 710 had just a minute more on its lap so this could be an issue Nokia might need to address. With the brightness at 50% and sound turned down to 10% the Nokia Lumia 620 achieved 6 hours and 32 minutes of video playback. It’s not the best result but isn’t all bad either. It can manage a reasonable amount of TV series or just about two full featured movies. And now comes the breakdown. If you do an hour of calling, web browsing and watching a video each day you’d need to plug the Lumia 620 back to the wall every 36 hours or so. That’s not the best result around but will do for most people. However, if you are heavy on browsing, you might want to consider having a spare battery around. If you’re the movie watcher then the Lumia 620 will serve you adequately, while those users bent on maximum calling time will be more than happy with this one.